Chances are after hours of looking online searching for Lakeland FL homes for Sale, like 87% of all home buyers in the United States, you most likely came across of homes that states “Approved Short Sale”. An approved short sale is established when the listing agent and lender have already completed the paper work with a buyer submitting a fully executed contract for sale and purchase. The lender completed broker priced opinion (BPO), reviewed the short sale package submitted by the listing agent on behalf of the seller and agreeing to the contract therefore issuing a short sale approval letter with an approved price. The Buyer walks and cancels the contract. During the course of the transaction, the buyer became impatient and walked or the buyer did not agree with the seller’s lender approved short sale price. In a perfect world, the process of approving a new contract simply by substituting with a new name could be done quickly and you will receive a new approval relative fast, however short sales in Lakeland FL don’t live in a perfect world. Is it possible for an approved short sale be accepted? Yes, everything is possible but it is highly unlikely since every short sale transaction is unique to the seller and to the buyer. A new approval process would have to be started because of the buyer’s name has changed. Depending on the bank, requesting a new short sale approval letter may trigger a new entire short sale process. Banks generally do not approve blanket short sales, they have to have a valid contract for sale and purchase first before they will consider a short sale. As it enticing it may be making an offer on an approved short sale in Lakeland FL, caution is required and most certainly hiring an experienced short sale agent on both sides of the transaction is a must. 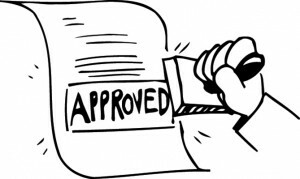 Copyright © 2011 By Petra Norris * Lakeland FL Short Sales – What is an Approved Short Sale?